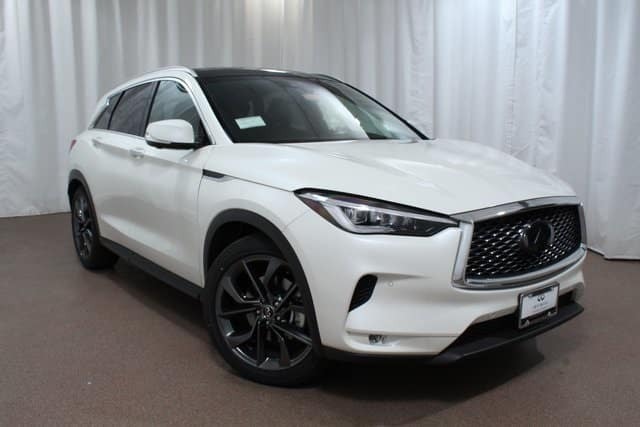 The technologically advanced 2019 INFINITI QX50 combines a new level of sophistication with ride and handling to deliver an exciting driving experience. The experience begins when the driver starts the 268-horsepower, four-cylinder turbocharged powerplant. The responsive motor, under tight computer control, watches each driving condition and adjusts turbo compression for peak efficiency and power, an industry first. The adjustment includes raising and lowering the piston heights to meet ever-changing driving demands. The 2.0-liter four-cylinder powerplant mates to a continuously variable transmission that instantly adjusts the gearing so that the engine remains at peak efficiency. The four-cylinder engine is also 30 percent more efficient than the V6 it replaced. The QX50’s exciting technology story continues in the platform on which it is built. The platform features some of the most extensive use of highly flexible steel in the auto industry. The result is a more rigid frame that delivers more refined and confident handling, while also saving considerable weight. Thanks to this positive structural development INFINITI has been able to design the QX50 so that the driver has a better view of the road in a vehicle that is more aerodynamically sound. Technology continues in the INFINITI QX50 with the ProPilot Technical Assistance package. This package provides another industry first by enabling the QX50 to remain in lane no matter the road conditions. Using sensors and other aids, QX50 monitors the lane markers and keeps the SUV centered in lane. This development extends to winding mountain roads where the QX50 remains centered. The same technology assists in exciting safety developments such as automatic braking, if needed. 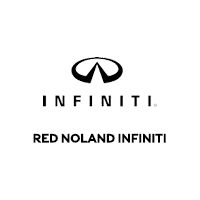 Choose your 2019 INFINITI QX50 crossover SUV at Red Noland INFINITI in Colorado Springs. We have several to choose from; all filled with innovative features and impressive comfort and performance.